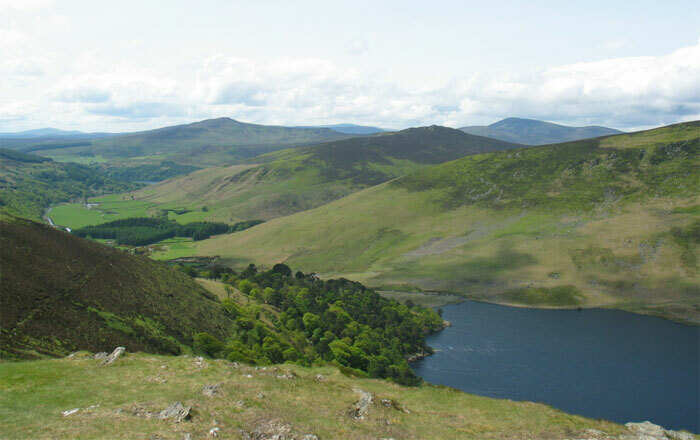 The 2010 Synge Summer School takes place from 1 – 4 July 2010. This theme is “Re-Imagining Irish Drama “. The provisional programme for the 2010 Summer School. The theme for the 2010 Synge Summer School is “Re-Imagining Irish Drama”. Our intention is to consider how Irish drama has changed in recent years, and to ask where we might be heading in the future. Lectures are given by leading academics and journalists. As always, there will be papers about the works of J.M. Synge, but we’ll also consider many other major dramatists, from Shakespeare to Sean O’Casey, from Beckett to Sebastian Barry, and from Brian Friel to Sarah Kane. Confirmed speakers include Anne Fogarty, Shaun Richards, Christopher Murray, Graham Saunders, Mark Phelan, Lisa Fitzpatrick, Patrick Lonergan, Patrick McCabe, and more to be announced. Special events this year include a visit to the Mermaid Arts Centre in Bray to see the world premiere of Dermot Bolger’s new play, The Parting Glass. That event will be followed by a post-show discussion. We will also hear a reading by Patrick McCabe at the Brokagh Centre in Laragh. The Synge Summer School is a gathering of people who are enthusiastic about Irish theatre and drama. Each year, we welcome participants from many different professions (academics, students, teachers, public servants, theatre practitioners, journalists, and people from many other walks of life), and from many different countries ( Ireland, the US, Canada, Australia, Italy, France, Spain, Turkey, China, Japan, and elsewhere). Participants attend a series of talks, seminars, and social events over the course of a long weekend (from Thursday afternoon to Sunday evening) in the beautiful setting of Avondale House in County Wicklow. Lectures are given by leading scholars of Irish drama. This year, they focus not only the works of J.M Synge but also on other Irish dramatists: Sean O’Casey, Brian Friel, Samuel Beckett, and many others. We’ll also be hearing papers that aim to place Irish drama in an international context, discussing the place of Shakespeare within the Irish theatre, and the relationship between Samuel Beckett and the controversial English dramatist Sarah Kane. Lectures usually last for between 45 minutes and an hour, and are followed by about 30 minutes of discussion, which all participants are welcome to contribute to, if they wish. Lectures are intended to be accessible to both academic and non-academic audiences. A reading list has been provided: it is not essential to read any of the play on the list in advance, but doing so may enhance your appreciation of the lectures. Seminars This year, we are offering four seminars; participants select one from that list. A seminar is a small group of people (usually no more than eight), who will meet twice (on Friday and Saturday mornings) to discuss a specific theme. The discussion will be led for about 90 minutes by a dedicated specialist, who will ensure that all participants have an opportunity to share their views with each other. Seminar participants should read the recommended plays in advance. Seminars are intended to take place in a relaxed, friendly and informal setting; as with the lectures, they will prove rewarding for both academic and non-academic participants. Seminar participants are advised to read the appropriate texts in advance – see the reading list for more information. Social events . This year’s special events include a visit to the Mermaid Arts Centre in Bray to see the world premiere of Dermot Bolger’s new play, The Parting Glass. It is set on the night that Thierry Henry’s left hand broke many an Irish heart in the World Cup qualifiers in 2009. It tells the story of old friends now on the cusp of fifty who are stopping to make sense of their lives, loves and losses – who are trying to fathom their place as exiles in the Ireland that emerged in their absence, and the boom and bust story of the nation that once had room for them.